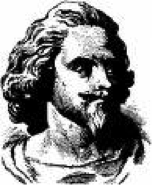 Robert Aytoun, whose name is sometimes spelled Ayton, was a Scottish poet whose panegyric, written in Latin to celebrate the accession to the English throne of King James VI, earned him considerable favour at court. He was knighted in 1612 and served as a private secretary to the royal households of James I and Charles I. He was born some time during the year 1570 in the small town of Kinaldie in Fifeshire. It must have been a comfortable upbringing as he was able to get a university education at St Andrews, specifically at St Leonard’s college from 1584 until 1588. This exceptionally able young man obtained a Master’s degree at the age of 18 and seemed destined for a career as a writer, although he had no strong ambitions in that direction. He travelled to France and spent a number of years there, both writing and studying civil law. His Latin panegyric was written while living in Paris and it was soon brought to the attention of the newly crowned King James I. As a result he was immediately called to court where he took up the post of private secretary to the Queen. He repeated this role when Charles I succeeded James, serving the new Queen in turn. Aytoun was highly regarded, both as a writer and as a court official and he filled a number of high profile positions over the years. The work that survives to this day is in both English and Latin and it is believed that Aytoun was one of the first Scottish writers to adopt what is known as “the southern standard” as a means of composing literature. Some of his best known pieces, in Latin, include Basia, sive Strena ad Jacobum Hayum and Epicedium in obitum Thoma Rhodi. The first poem that he wrote in English was Diophantus and Charidora and there are references within to the above mentioned panegyric to James I. Two collections of his poems exist, one for those written in Latin and one for those written in English. The Latin poems can be found in Delitiae Poetarum Scotorum and this was published in Amsterdam in 1637. His English collection was put together by his nephew, Sir John Aytoun, and can now be found in an “MS” in the British Museum. An anthology of both, The Poems of Sir Robert Aytoun, was published privately in London by Charles Rogers in 1871. Some critics, though, consider this an unsatisfactory attempt to portray the work of one writer as there are, undoubtedly, pieces written by other poets included. 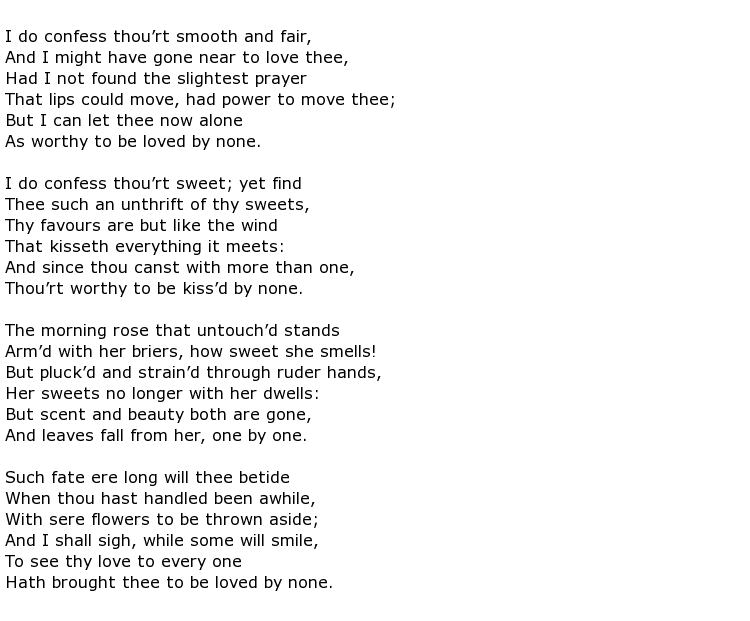 Examples such as I do confess thou’rt smooth and fair was, most certainly, penned by someone else. He did, however, write a short poem called Old Long Syne which, perhaps, could be confused with Robert Burns’ Auld Lang Syne. Sir Robert Aytoun died in London on the 28th of February 1638 and was buried in the Ambulatory Chapels of Westminster Abbey.